The new deal over on SnapnDeals this week is one I know many dPS readers are going to enjoy – it’s 30% off Phil Steele’s Lightroom Made Easy Course – that’s just $33 (normally $47). 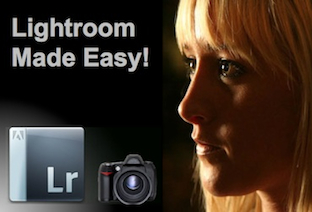 Phil’s videos have made regular appearances here on dPS and are always really popular and this course contains 24 videos with hours of great instruction on using Lightroom (it covers both Lightroom 3 and Lightroom 4). If you’re new to Lightroom or feel overwhelmed by it – this course is for you! Make your photos “pop” like the shots you see in magazines. Dramatically increase your photography output—zipping through photo processing tasks in minutes that used to take hours or days. Automatically embed hidden data in your photos to protect your images from theft or misuse—and to guarantee you get paid. Get your photos organized—whether you have one hundred or 100,000—so that you’ll never lose another image again. Quickly and subtly retouch portraits to remove imperfections, enhance beauty, and keep clients coming back. Display your photos for clients or the public in impressive, customized galleries on your own web site—with just a few clicks. Remove unwanted objects, blemishes, or unsightly sensor dust from photos. Instantly upload your edited photos to social sharing sites like Flickr, Facebook, Picasa, and more. Tag your photos with keywords to lure Internet search engines and boost your sales. Quickly create stunning slideshows, with music, for friends, clients, or presentations. Use ratings, labels, categories, keywords, and names to make it easy to always find your best shots, or those most suited to a particular job or client. Easily handle your entire photography workflow all from one place, quickly and efficiently. Use my secret ninja tricks and techniques to boost your productivity even more! This course is normally $47.00 USD but for the next 12 days Phil is offering it for just $33 along with a couple of great bonus videos. Get full details and pick up your copy here.